This title is no longer available from this publisher at this time. To let the publisher know you are interested in the title, please email bv-help@uchicago.edu. What educational purposes should the school seek to attain, and what educational experiences can be provided that are likely to achieve these purposes? Rather than literally answering these questions of curriculum and instruction, Tyler develops a rationale for studying them, and suggests procedures for formulating answers and evaluating programs of study. 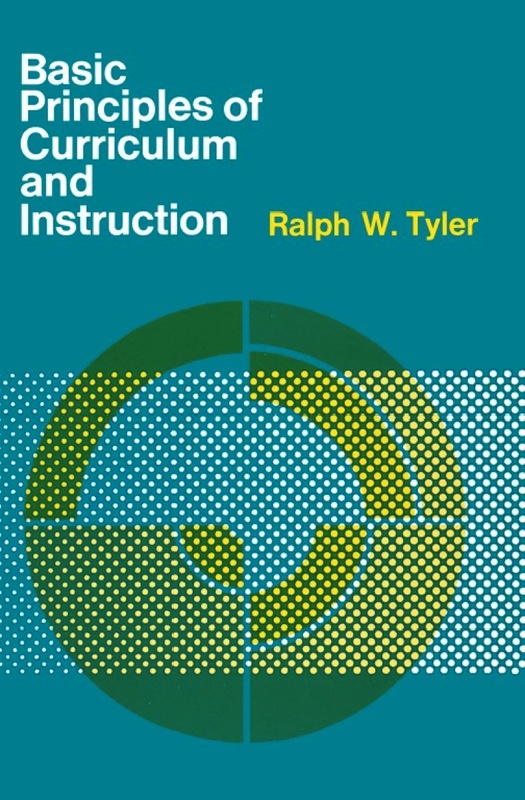 Quite simply, his book outlines one way of viewing an instructional program as a functioning instrument of education. The four sections of the book deal with ways of formulating, organizing, and evaluating the educational objectives that have been chosen for the curriculum. Tyler emphasizes the fact that curriculum planning is a continuous cyclical process, involving constand replanning, redevelopment, and reappraisal. Substitution of such an integrated view of an instructional program for hit-or-miss judgment as the basis for curriculum development cannot but result in an increasingly effective curriculum. Ralph W. Tyler was formerly Professor of Education and Dean, Division of Social Sciences, at the University of Chicago. 1. What Educational Purposes Should the School Seek to Attain? Meaning of the Term "Learning Experience"
What is Meant by "Organization"
Book published by University of Chicago Press, 1969. Page maintained by BiblioVault.